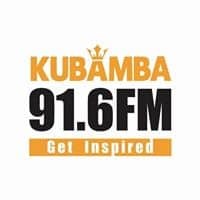 Kubamba Radio 91.6 FM Kenya Live Online . Listen 30 Kenya Radio Stations Online . We use music as our tool to influence young people, to see the Kulture of the Unashamed rise up and get established. Everything that K-Krew does is laced with music. Music crosses cultures and borderlines. It brings people together regardless of their background or social status. It goes deep to connect with the spirit. We want to to resonate with that part of our audience. Energetic, Hip, Creative and a Love for God and People is who we are.